You have to feel it to believe it. HP has wrapped the Spectre Folio completely in full-grain leather shell, and there's still plenty of PC inside, from the super-bright display to the surprisingly comfortable keyboard. 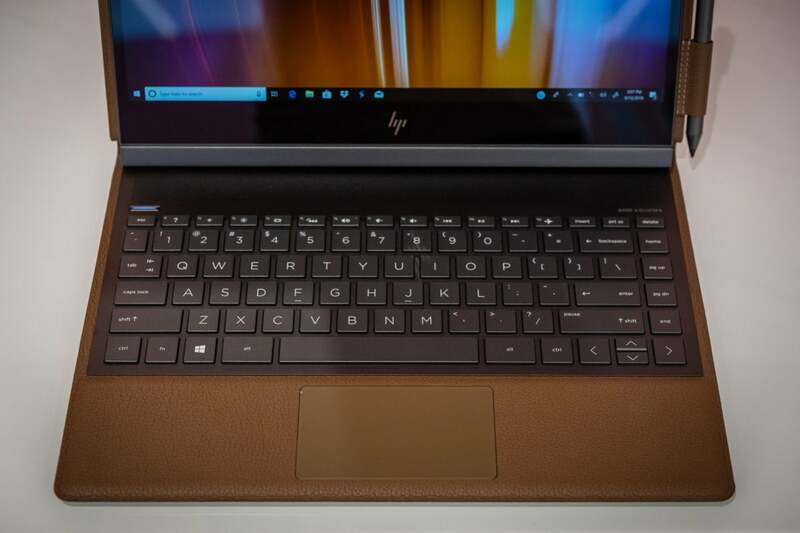 The HP Spectre Folio is a sensual experience. 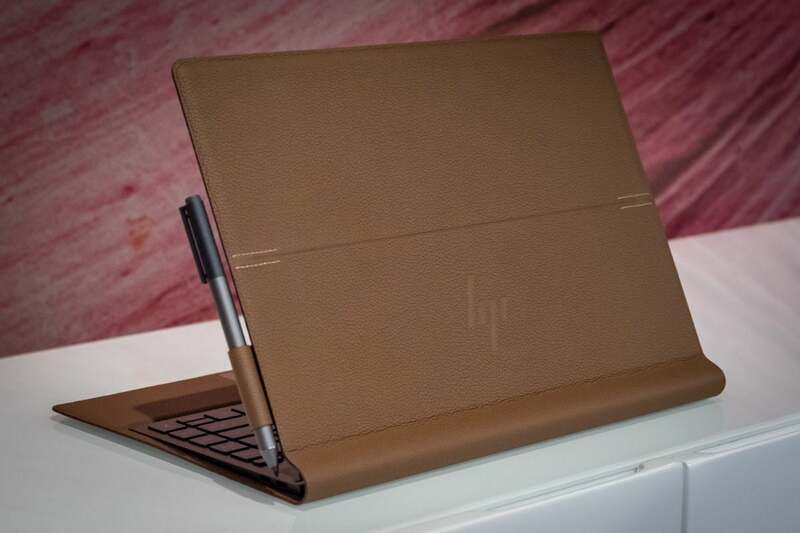 By wrapping an incredibly thin laptop in a full-grain leather shell, HP has made a PC whose look, feel, and smell will evoke classic, covetable objects like a bomber jacket, a handbag, or a leather football or baseball. You’ll find yourself responding to the Spectre Folio in the same way—and then fighting it, as if it were wrong to react like that to a PC, even if it’s also one of the first super-efficient Amber Lake laptops we’ve seen. It sure wasn’t chosen because it was easy. “Leather doesn’t give us the opportunity to cut a lot of holes,” Tan said. “Otherwise you destroy the look.” The fanless design helps, as does an air channel created by the loose leather fold along the main display hinge. That fold also adds to the Spectre Folio's organic look and feel. As for durability, anything your other leather products can take, the Spectre Folio can take. 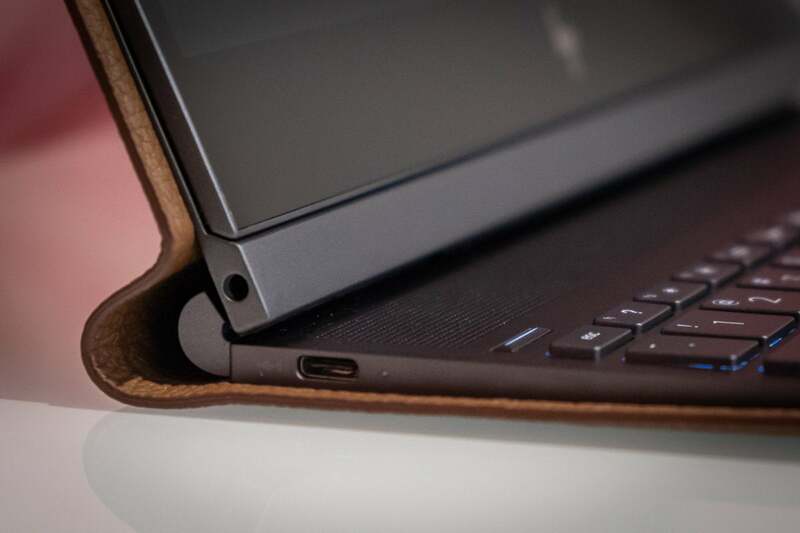 The chrome tanning process makes the leather stain- and water-resistant: "Take care of it like you take care of your handbag,” advised Ai-Kuan Lim, director of consumer new product introduction for HP. That also means, of course, that the Spectre Folio is at best "resistant" to things leather can't take, like deep scratches and random pen marks. A drop could be interesting. Display: 13.3-inch Full HD (1920x1080) IPS WLED backlit touchscreen with Corning Gorilla Glass 4. The maximum brightness is a very nice 400 nits. 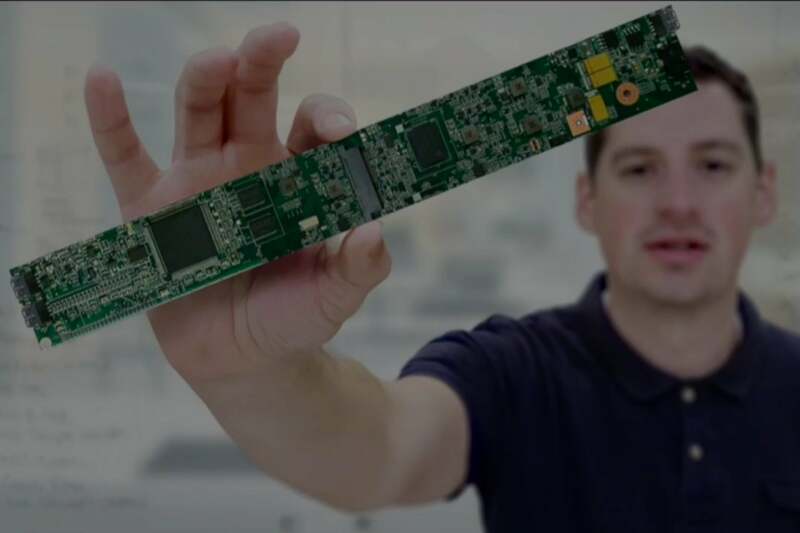 A 4K UHD panel option will be available later this year, HP says. Best Buy will have the exclusive on another version with Intel’s 8th-gen dual-core Core i7 8500Y, but no LTE. That model will ship October 29 for $1,400Remove non-product link. 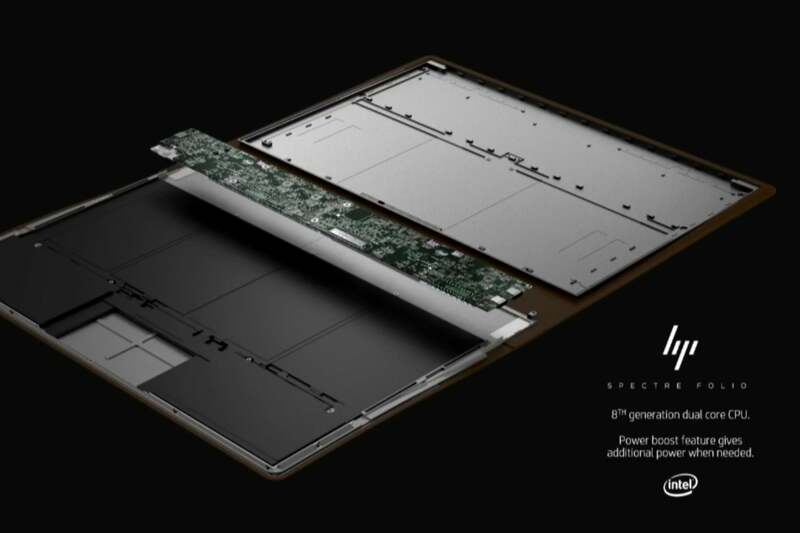 I expect the Spectre Folio will generate a mix of excitement and debate. Is it right for a PC to feel good? Can a PC that's luxurious, rather than utilitarian, still be taken seriously? "People want to carry something that matches their lifestyle," Tan said. "The Spectre Folio creates a 'wow' effect." 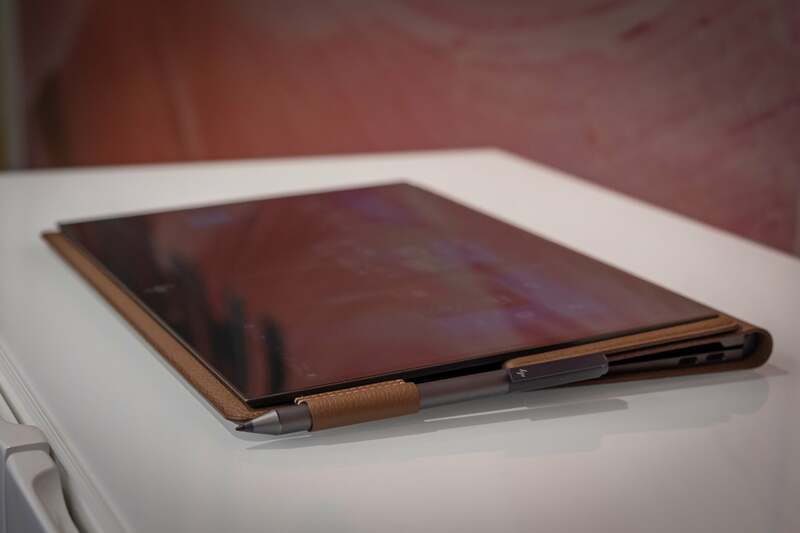 Tan added that both males and females responded positively to the Spectre Folio, with the men preferring the debut color of Cognac Brown, and the women liking the Bordeaux Burgundy color coming later. Tan also mentioned an interesting comment from a male who who said he wouldn't bring a metal device to his son's sports events, because it looked like he was working. He said he'd bring the Spectre Folio because "it doesn’t look like a PC," Tan said. For me, there's no denying the way the Spectre Folio makes you feel. We need to test it and see how the PC works, with its new, untried CPU. But I give HP credit for making a PC evocative and desirable. That's the kind of feeling that can inspire oohs, ahhs, and sales. Updated with photos from the live event and more information from sources.